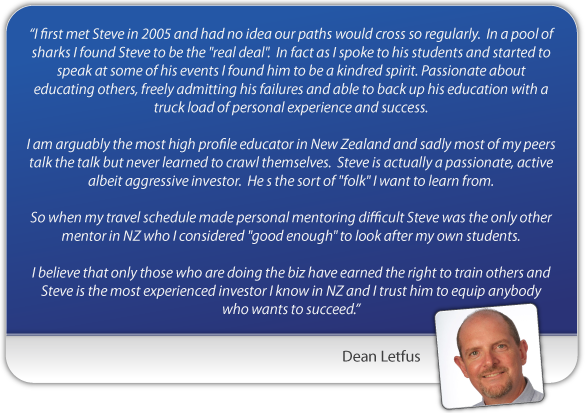 Dean’s humble self-assessment: ‘I am arguably the most high profile educator in New Zealand’ and his description of his fellow property spruiker and business partner thus: ‘Steve is the most experienced investor I know in NZ’ strike me as being in the same class as those T shirts you see emblazoned with ‘WORLD’S GREATEST LOVER‘. Surely these statements are not intended to be taken as anything but shallow puffery … or a JOKE? If Steve Goodey is really the ‘most experienced investor’ Dean Letfus knows, then he probably needs to get out and meet more investors. Or perhaps start telling the truth? At some point, people writing this sort of sugary, grandiose, hyperbolic sales-speak and BS should take a step back, examine the words they’re using and ask themselves: Is that actually true? Really? 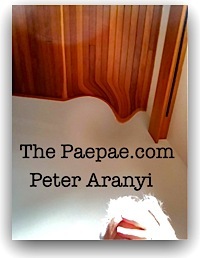 Am I ‘one of NZ’s most successful property investing experts’? Truly? Or am I just a glib low-rent huckster trying to make a buck? The embedded weasel words and modifiers (‘arguably’) don’t work to counteract the (in my view) misleading impression these marketing materials convey. But the smoke and mirrors, flashy talk and exaggeration must be working for them, I guess. Some people seem drawn to it. But then, who the hell am I to question the enormity of these salesmen’s claims? Nobody. That’s right. PS: Sure, I’ll get accused of ‘bashing the competition’ (again, diddums) as we discussed here: A gushing review from Steve Goodey. Too bad. We’ve already seen demonstrated what these two roosters mean by the term ‘education‘.